Is there a better feeling in the world than to come back home after a long day at work and see the place in perfect condition? Surely a lot of people agree that is the case. That is why we at Top London Domestic Cleaners are so keen on providing clients with our reliable domestic cleaning services in Kingston. We know our work is very important to people who either lack the time or just want to invest their spare time and energy into something else. We are perfectly fine with supplying the means to a great cleaning service. Top London Domestic Cleaners is one of the few companies in Kingston upon Thames that knows people in the area don’t really wish for a universal approach to cleaning. Rather, they wish to see specialised solutions that work for their home and schedule. Well, that is exactly what our company provides. We listen carefully to every client and devise an action plan based on their requirements. That said, our domestic cleaning services are designed to provide the right solutions for every client. Contacting our company on 020 3322 8143 is enough to get a tailor-made solution to your home cleaning problem. Take advantage of this now! If you ever think like you are in need of help to meet your house cleaning duties, Top London Domestic Cleaners is the only company you will need. 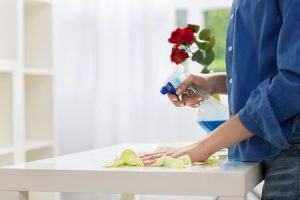 Our domestic cleaning service is put there for all who need to see their home refreshed without really investing the effort and time required for that. With the experience we have and the professional cleaners at our disposal, there really isn’t any wonder why so many people prefer to work with us. You too can now share the same advantages by contacting 020 3322 8143 and enlisting our team on your side. Discover a fantastic opportunity for yourself by working with the best domestic cleaning company in Kingston upon Thames and beyond! Kingston upon Thames (Kingston for short) is the administrative centre of the Royal Borough of Kingston upon Thames. It is also identified in the London plan as one of the major metropolitan centres. The area originated as a market location. It must be noted that the market survives till this day and is still held, with an expanded portfolio of goods that feature fish, jewellery, local and exotic foods, flowers and more. Among the civic buildings in the area is a public library, a museum and a few other administrative buildings, such as the County Hall that houses the offices of Surrey County Council. The area is rich in restaurants and public houses. Most of the traditional pubs are located in the northern part of the town and include the Wych Elm, Park Tavern, Canbury Arms and few others. Kingston is served by 2 South Western railway routes. Get our efficient domestic cleaning in Kingston upon Thames. We are affordable, reliable and trustworthy – give us a simple call to 020 3322 8143.